X-Large - $26.99 Only 3 left! Dr. Bloodbath really doesn't care if you're a good person. If you've got a good job. A good family. Because he needs organs... and he's ready to operate. We're not sure if he mostly motivated by making some extra dollars on the black market or if he just wants to make people twisted and deformed just like him. The truth is, this guy has a scalpel, and he's ready to use it! 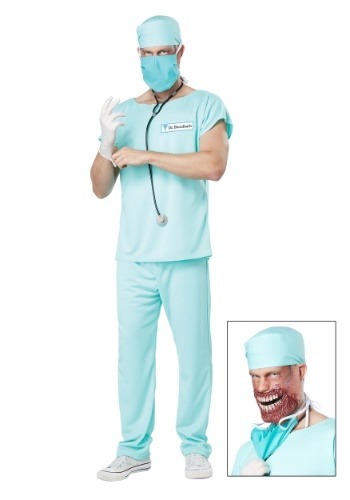 This surgical costume will transform you into the devious Dr. Bloodbath. 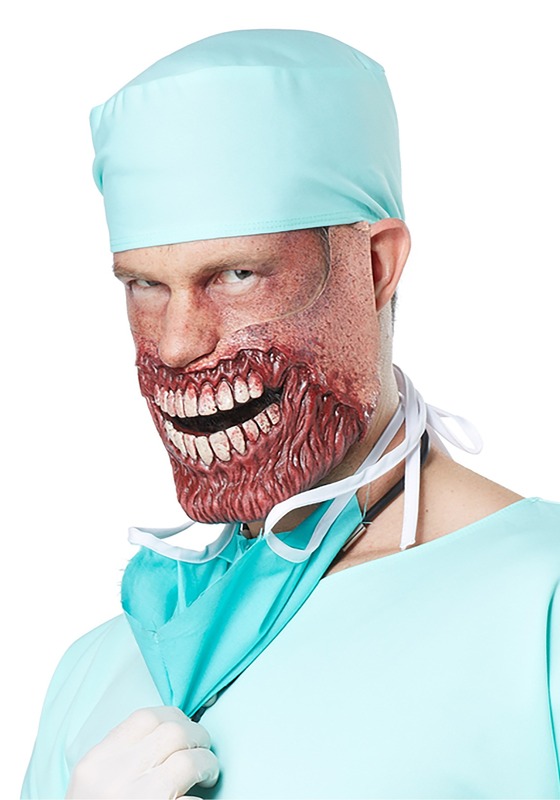 A surgical mask covers a terrifying latex mask that secures over your mouth, and when you reveal it to your patient, we're sure it's going to be quite the terror. All you'll have to do is recruit some friends to operate on at your big costume party. We're sure you'll be able to give them a smile by scalpel if they're not laughing! This detailed costume set is sure to turn you into a terrifying character, even if you're a little squeamish around the sight of blood! 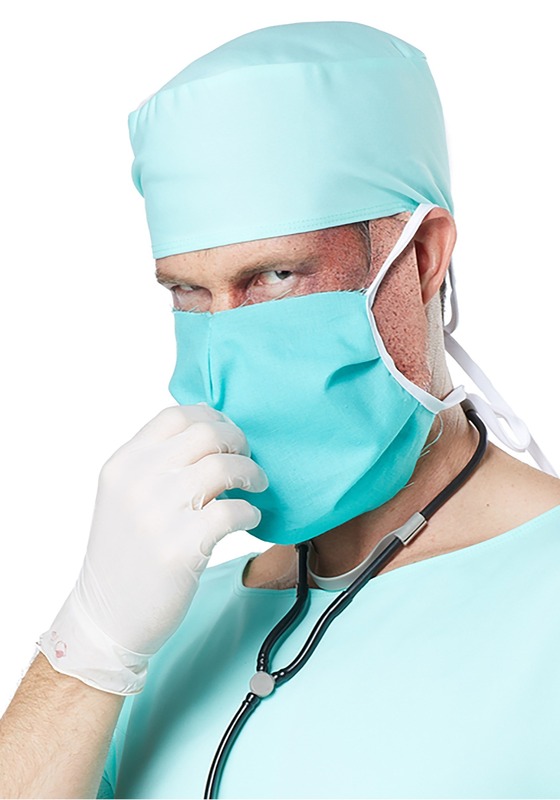 A scrubs style pants and shirt set includes a matching hat and surgical mask and you can wear the prop stethoscope around your neck to look like a legitimate medical practitioner. But the printed name tag is sure to be a giveaway that you have a devious side, and showing off the latex mask isn't going to leave any doubts in the minds of your victims! All polyester construction, and priced to let you take over the operating room without breaking the bank.